When we look at the long-term trend of rising educational costs, we wonder…is it really worth the price? The most recent generations of students have been raised in a culture that rightly emphasizes the importance of education. Young students have been told for the last 30 years that they won’t be able to achieve the “American dream” without a college degree. Millennials are the most educated generation in history, and yet those adults ages 18–34 are earning far less than the generations that preceded them. There are a lot of factors at play here that explain why millennials are struggling—among them a struggling economy, a skill gap (most of those who graduate from college work in a field unrelated to their degree), rising housing costs, and skyrocketing student loan expenses. Millennials have, on average, 43 percent lower net worth than the generation that came before them, usually have little to no savings, and graduate from college with twice the debt of Generation Xers ($35,000 on average). Most are not even confident that public programs they are paying into (such as Social Security) will still exist by the time they qualify to use them. Students enrolling at Georgia State this fall can expect their educations to cost them $47,544 just in tuition, fees, and books. Consider that students still need to live, have a place to sleep, buy health insurance, and have a way of getting around. 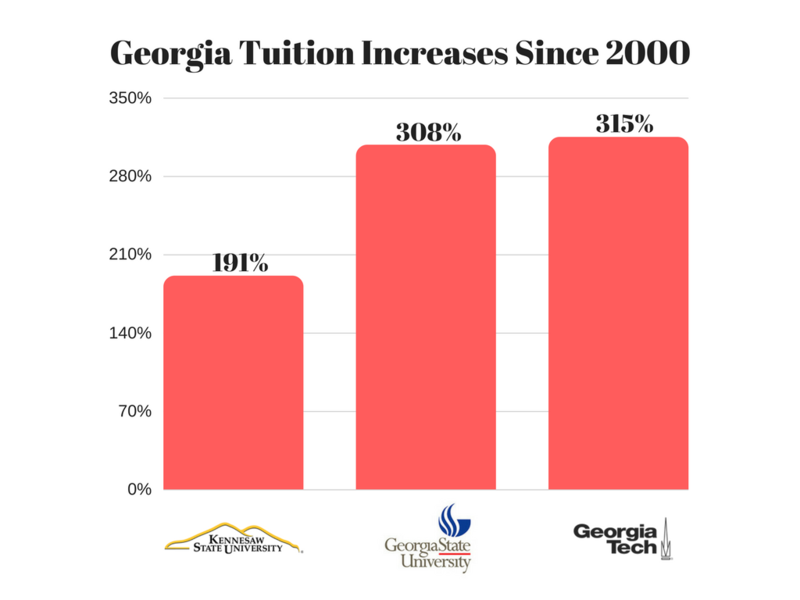 An incoming freshman at Georgia Tech is advised to budget $28,096 for the first year alone. These are both relatively inexpensive schools, and the numbers represent in-state tuition! Some students receive scholarships for their academic achievements or for their athletic talent, and others might use military service benefits to finance their education. If you don’t fit into one of those categories and you don’t have a generous family member, it would seem that your only option to further your education is to take out massive student loans. Using Georgia State’s numbers from above, that means you’ll graduate college with a nearly $500 monthly bill using standard repayment plans—or if you qualify for an extended plan, you’ll pay $270 per month…for 25 years. In the end, you will have ended up paying $80,907 for that bachelor’s degree based on current interest rates. To be clear, I absolutely believe a college education can be of immense value. After all, I spent more than my fair share of time in the system. What I question is the general advice and expectation of everyone going to a traditional university. Of course those seeking professions that require an advanced education should go, particularly if their earning potential is high. Doctors have an extremely expensive and tough education, but they are compensated well for it. And those who can leverage scholarships or tuition assistance shouldn’t miss a golden opportunity to take their lives in a direction they would otherwise be unable to. However, most people who earn their bachelor’s degree aren’t even using it. The traditional argument is that college isn’t just job training but is about expanding and developing your worldview and learning how to think critically. A degree shows employers that you at least have the fortitude to finish something big, that you can be trained, and that you’ve developed problem-solving skills. Those traits do have value, but you have to weigh them against everything else. Obtaining a diploma to show off your academic achievement is great, but the mountain of debt is a hard pill to swallow when you aren’t able to turn that piece of paper into a paycheck. 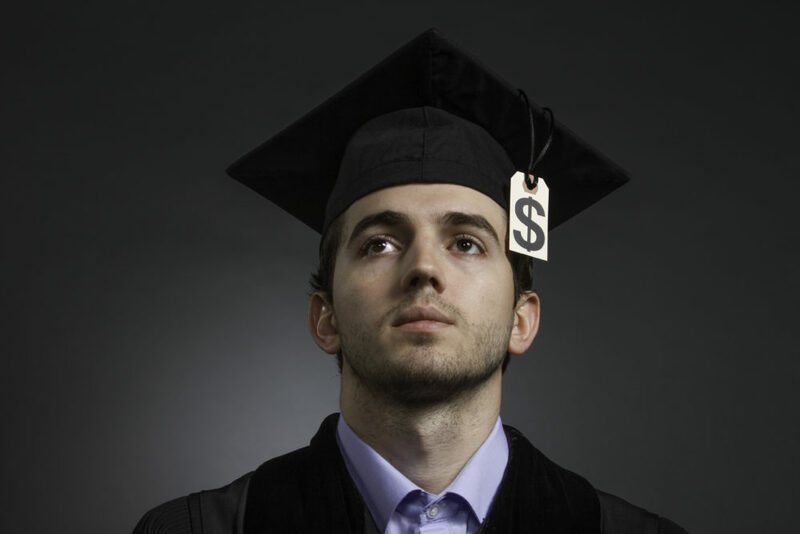 I am a stout believer in education, but with the costs of a traditional college education exploding, it might not be wise to obtain a degree just for the sake of having one, especially if you don’t think you’ll get a handsome return on your investment. What was great advice a few generations ago doesn’t necessarily hold true anymore. Competition for cubicles among college graduates is more fierce than ever, and the student loan bubble is about to pop. But some professions seem to be immune to such problems. A degree simply isn’t required to make a great living and have a fulfilling life. Certain trades such as plumbing, HVAC, or pediatric dental assisting compensate well and are reliable. Your job can’t be exported, a robot can’t do it so you won’t lose it to automation, and your training won’t leave you buried in debt. You can accumulate years of professional experience before you would have even completed a college education. Your future can be secure. You can protect yourself and your family by opting for career training. In as little as nine weeks and for less than the cost of a single semester’s tuition at Georgia State, you can become a pediatric dental assistant. Find out if a career as a pediatric dental assistant is right for you. Learn more about the opportunities and possibilities afforded by the PDAS!